It feels to me almost as though we are entering a second space age. As a child in 1969 I watched the first humans walk on the moon, courtesy of poor-quality black and white images on TV. When I was a teenager in the 1970s my family rarely missed an episode of Star Trek. While we appreciated the comedic undertones of a Universe in which the aliens were humans wearing make-up and most planets seemed to have breathable air, there was a general feeling that all this might be possible. People would race around the Galaxy in spaceships and have amazing adventures. Or at least people would soon plan journeys similar to the Apollo astronauts’ and travel to explore the Solar System beyond our own Moon. Of course this didn’t happen in the way we young aspiring astronauts anticipated. The Apollo program was curtailed and, more recently, the Space Shuttle too. For decades no-one has travelled as far away as the Apollo astronauts did. The last people to travel beyond low-Earth orbit did so in 1972! Apollo’s moon exploration only lasted for 3 years: a poignant prelude. Recently, with talk about privately funded missions to Mars, space tourism, and NASA’s development of the Orion spacecraft — designed to take people beyond the moon- the hiatus in human space exploration may be coming to an end. 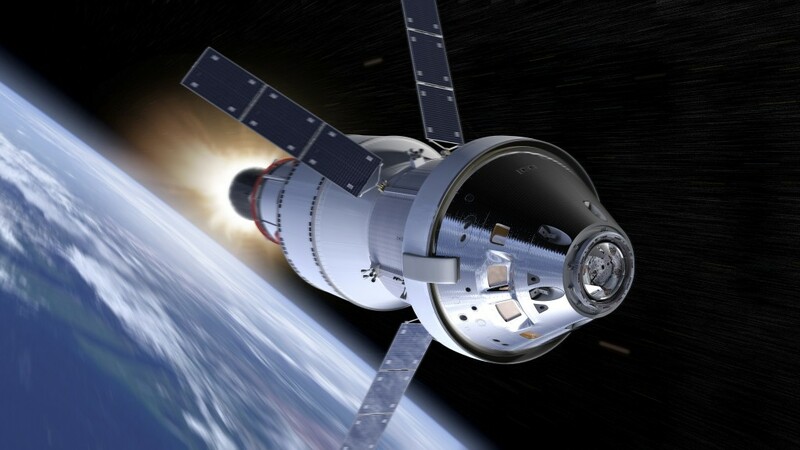 Orion’s first mission, EM-1, is scheduled for 2018. A few of my generation did become astronauts. The International Space Station has been continuously occupied for over 15 years, and we are learning a lot about how to live in space, including over 20 years experience of growing plants in space. Many of my generation instead turned to astronomical, rather than literal, exploration of the Galaxy. What we have learned has been thrilling. The most exciting developments in my lifetime have been the discovery of the first planets orbiting around stars other the Sun; the now firmly established finding that small planets like Earth are common in our Galaxy; and our developing ability to make detailed measurements of the properties of planets which are so dim and distant that it is impossible to see them because of the overpowering glare of their host star. It is worth noting that the techniques for data gathering and analysis created by astrophysicists for this kind of exploration have also paid dividends in other, more immediately practical, endeavours. Several of my former colleagues and students now apply their expertise in bio-medical research, where the results include new ways of treating diseases such as cancer. The Pale Red Dot campaign is an important part of our exploration. It focuses on our nearest stellar neighbour, so we will be able to obtain better quality data for Proxima and its planets– if it has any– than we can for any other star of its type. This is because the amount of light we receive from a star depends on the square of its distance as well as its intrinsic luminosity. Most stars in the Galaxy, like Proxima, are significantly less luminous and redder than the Sun. It seems quite likely, therefore, that most of the planets in our Galaxy orbit such dim red stars. So far, planet hunters have focused on the rarer but more luminous Sun-like stars, because they are easier to study. If the Pale Red Dot campaign is successful it will demonstrate that we can successfully measure the properties of planets orbiting stars like Proxima, sometimes called red dwarf stars. Because red dwarfs are so common relative to other stars, most of our near neighbours are red dwarfs. This means that if there are planets outside the Solar System suitable for humans to walk on and breathe the air, the nearest examples are likely to be found orbiting red dwarfs like Proxima. The Pale Red Dot campaign is intimately linked to the potential for human exploration of other worlds. Top: This diagram illustrates the locations of the star systems closest to the sun. The year when the distance to each system was determined is listed after the system’s name. Bottom: Nearest stars in a time range between 20,000 years in the past and 80,000 years in the future. If the campaign is successful, and discovers a temperate planet orbiting Proxima, it will be some time before humans can visit it, if indeed this ever becomes possible. 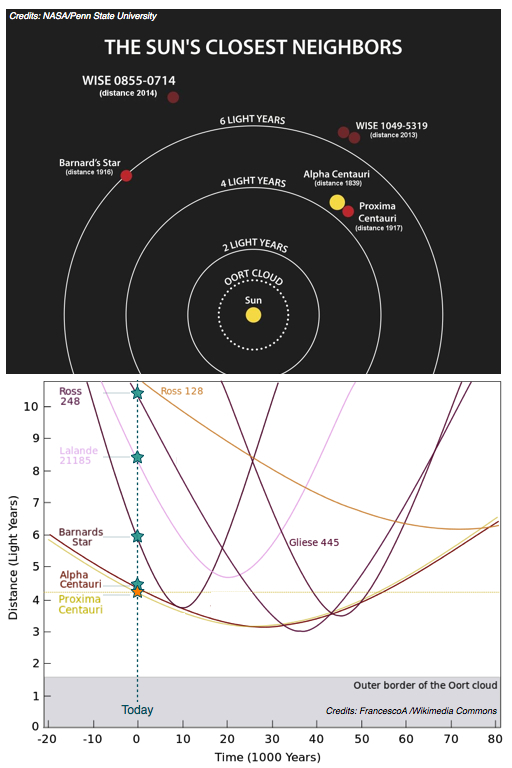 Proxima is over 4 light years away, which means that even at the speed of light it would take over 4 years to get there. The fastest moving human artefact, Pioneer 10 moving at 132,000 km per hour, would take 34,700 years to travel this distance. At this speed, a thousand generations could live and die before the question “Are we there yet?” has a positive reply. Obviously the key to visiting planets outside the Solar System is being able to travel faster, something which remains in the realm of science fiction, but is beginning to be discussed by scientists too. Personally, I am content now not to be an astronaut. I’m not even particularly keen on camping, and space travel, for the foreseeable future at least, is likely to be a bit cramped and smelly. But I am very glad to be alive in this amazing era in human history. As I was write this, the first ever detection of gravitational waves has just been announced, opening up a new window which offers a completely different view of the Universe and its contents. Our picture of the Galaxy has become so much more rich and detailed in the last fifty years, and I can’t wait to find out more about the billions of exoplanets in the Galaxy. In particular it will be wonderful to learn more about our nearest neighbouring planetary systems. Dr. Carole Haswell spent her early years as an aspiring astronaut in Saltburn-by-the-Sea in northern England. Upon realising this was not a very practical career plan, particularly for a child who needed glasses, she decided to become an astrophysicist. She studied physics and mathematics at Oxford University, and was one of the first generation of female undergraduates at University College, Oxford. She did her postgraduate work at the University of Texas at Austin, where her research focused on plasma astrophysics and accretion in black hole binaries. She had a VIP pass to watch the launch of the Space Shuttle mission which deployed the Hubble Space Telescope. Carole worked as a researcher at the Space Telescope Science Institute in Baltimore, Maryland, and at Columbia University in New York City before returning to the UK to take up a faculty position at the University of Sussex. 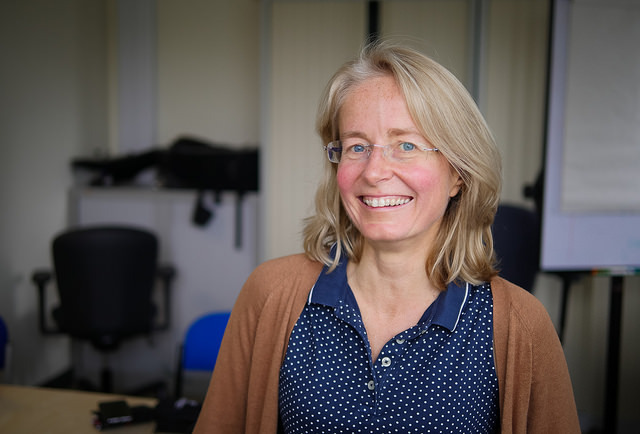 She moved to The Open University in 1999 and changed her research focus to the exoplanets area. She was an early member of the SuperWASP consortium, which is one of the leading ground-based planet searches and has found over a hundred transiting exoplanets. 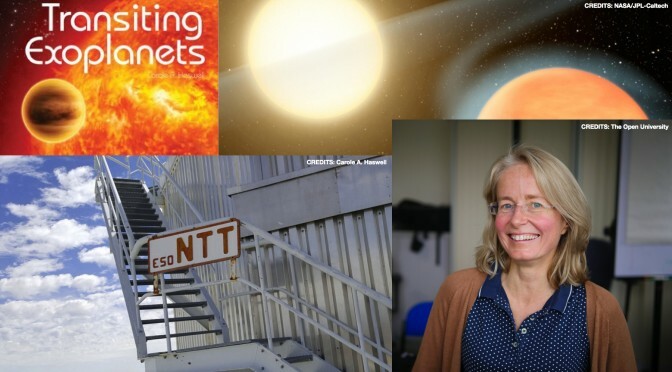 She wrote an undergraduate textbook ‘Transiting Exoplanets’ published in 2010, and has authored over 120 research papers. She now leads the Dispersed Matter Planet Project, which studies nearby stars and aims to find small rocky exoplanets orbiting very close to them. These planets are losing mass as a result of the stars’ intense radiation and tidal influence. In 2016 she was honoured by the Royal Astronomical Society in a portrait gallery commemorating the centenary of the first female fellows. She had mixed reactions to learning in 2006 that NASA astronaut Nicholas Patrick was born in Saltburn-by-the-Sea; at that time she still aspired to be the first person from Saltburn to fly in space. Previous PostInspiring the public with exoplanet discoveriesNext PostWhat is a planet? Nice editorial, and my best wishes are with you. I have huge doubts about our ability to overcome the technical and theoretical difficulties in getting to Proxima within the next few centuries. My one hope is that we, as a race, do not self-destruct before we can find a way to get there in a reasonable amount of time.